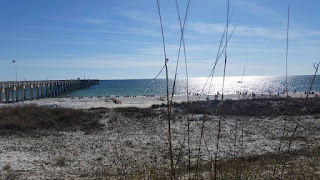 My plan coming back from Beach Reach, where campus ministries from around the country go to share the gospel with those at Panama City Beach for spring break, was to write specifically about my experiences there. But in order to fully capture the work that God continued in my life, I think it’s important to start by capturing what He has done throughout this entire spring semester. I feel like I should be open with my friends about how God is showing Himself and how I need prayer for my shortcomings. And if you don’t know me and are reading this, I’m really glad you are, but your perception of me doesn’t really have any effect on my life. So, basically, I want to draw on the changes in my attitude to bless you all, and maybe even spark something in you. These things aren’t anything I didn’t already know, for the most part. They’re just things I wasn’t living out, as I frequently have knowledge about Christianity but don’t apply it to my life. 1. My identity is wrapped up in Christ alone. This particularly has been ongoing throughout the entirety of this semester. Several things have led me deeper into this conclusion. First was homecoming week. I put a ton of work into homecoming planning for the BCM, starting over winter break and continuing into the first few weeks of the semester. I knew it would take time, but even I underestimated it. This is not to earn pity, it’s just relevant information to this lesson. In the midst of putting all of this together, I was also a homecoming court nominee. This was a really cool experience. I said all along, if I could just make it onto homecoming court, I’d be perfectly content. Turns out I did. 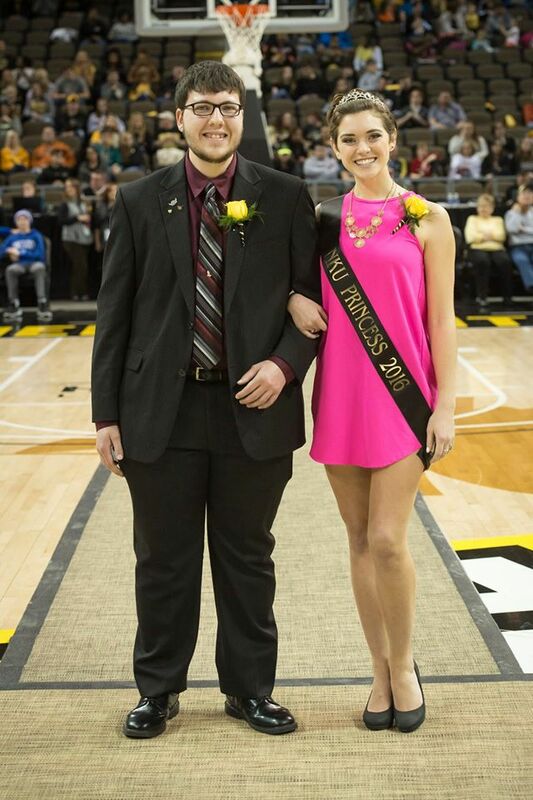 At the end of the day, I didn’t win homecoming king. I think what made this harder was that a good friend of mine did win homecoming queen, and for some reason that ate at me. I scrutinized myself, as I often do: what did I need to do differently to win? Where was I not good enough? In time, this wore off, but there was a time of some frustration. Second, the BCM had presidential interviews. I came in with more expectations than I should have. I truly thought I was the best candidate (again, I’m not claiming my thoughts and attitudes have been correct, but through them God has humbled me; hence I want to share them to see where I was and where God has taken me); I had a number of people tell me this as well. I had been somewhat led to believe I was the favorite candidate. It was something I wanted, and I had been involved in brainstorming for the new structure of our leadership team. Roads seemed to be pointing to me. Turns out, again, I didn’t get what I wanted. I was pretty frustrated, as were a few other candidates that were passed over. Add to it the fact that a support system for us was all but nonexistent, and there was bitterness. This lasted for close to a week, an eternity for someone like me who glazes over disappointments quickly. The reality is that I prayed that (1) God would do what He knew was best for the ministry and (2) that He would put me where I needed to be and where I could best benefit the ministry. For all my limited mind knows, He did just that. Add to it seeing friends in relationships and some battles with confidence, and I’ve been abased this semester. I had to bring myself to the clear point of my identity. My identity doesn’t come from accolades, positions, friendships, relationships, appearance, or anything else that the world may place value on. My identity comes through Christ alone. Beach Reach was the first time that I was entirely at peace with this fact this semester. You’re a Good, Good Father: it’s who You are. And I’m loved by You: it’s who I am. My worth isn’t decided by my accomplishments. Those change, and my value would change with them. My worth isn’t decided by me or any other person. My identity is wrapped up in Christ. The fact that the Creator of the universe is also a personal God who came to Earth to die to cover my failures and regrets so He could personally know me and adopt me into His very family shows me all I need to know about myself. God’s love for me does not change through any and every circumstance, and so my value stays the same. He cares for me, and if nothing else goes right in my life, that is enough. Being loved by God is who I am. 2. I am not as spiritually mature as I thought I was. This will probably be the toughest to write about, as I front like I have things together to most people I know. I came into Beach Reach overconfident. I have done similar outreach work in pro-life ministry for a couple years. Tactically, conversations are fairly similar. It takes some degree of boldness. Pair that with knowledge I have about the Bible and apologetic issues, and I thought I’d be fine. Then that was put to the test. We went out for the first time on Sunday night. For your reference, Beach Reach has several ministries that go on to reach people at Panama City Beach. From 9 pm to 2 am (or later), there are three things taking place: van teams, where people can call in and get a safe ride to their next destination and hear the gospel in the process; street teams, where dozens of small groups walk the streets and visit spots in PCB to talk to people about Jesus; and the prayer room, where people can pray for the incoming requests sent in by the other two teams. My first assignment was in vans. When the first guys got in, I connected well with them. I usually can with strangers. But I had a lot of trouble transitioning the conversation to the gospel. There were several things at work here. One, I truly couldn’t find a good, natural way to bring the conversation to that point. Two, I was afraid it would appear like we were betraying their trust by giving them a ride just to share the gospel with them (when in reality they basically knew that it was our purpose). Finally, I was legitimately timid in sharing my faith. This frustrated me because I’m supposed to be an experienced leader. "Y'all are the light of the world." The speaker during the week was phenomenal. A flaw of mine is that my mind tends to wander. Not just during a sermon or prayer, but while I’m having a conversation or doing homework. I struggle to pay attention at times. This was the first time in a while that I was really tuned into a speaker. Not because other preaching I’ve heard is bad; my heart just hasn’t been in the right place. Austin hit the aspect of preaching the gospel hard. And he didn’t pull punches. For three straight nights he shut off the lights during part of his sermon to show us the darkness in which the world is living. Not just during spring break at Panama City Beach. On our campuses. In our communities. In our circles of friends. One of his hardest hitting points was why we were down there in the first place. Proclaiming the gospel isn’t something we set aside a week for. It’s a lifestyle, or at least it should be. I was talking to another BCM person on the beach, and we were thinking of how many people with whom we’ve actually shared the gospel. Two. That’s all I could think of that have consistently heard the gospel from me. There have been a few random people I’ve told once, but that’s it. Two people. I know a lot more than two people. I occasionally tell someone the gospel, and think I’m good. I can reference something in case it comes up in conversation. Sure, people know I’m a Christian, and that I’m involved in a campus ministry, but that doesn’t tell them the gospel, and I need to stop acting like it does. WE need to stop acting like it does. If I’m afraid to share it here, it’s no small wonder that I started off the same way down there. 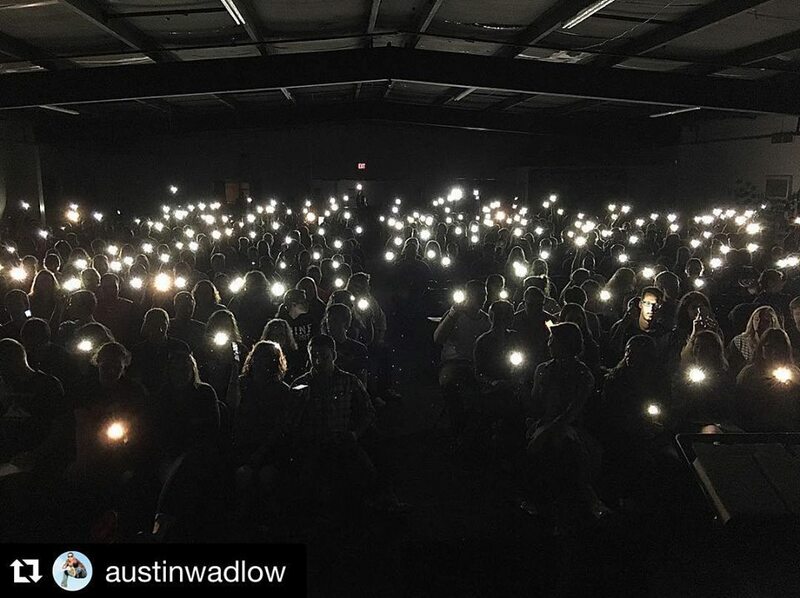 The good news is, Austin also turned on a single lightbulb to illustrate how brightly it shines in a dark room. And things did get better. Prayer is another huge struggle for me. It’s an occasional thing for some specific need. It’s a quick thing before I read my Bible. Worst of all, it’s usually a thrown together string of words that are so automatic in my head from years of Christian learning that I don’t even think about them. It’s not a daily thing. It’s not a sacrificial thing. It’s not a set aside time. I was stretched greatly in this area as well, as I did things I wasn’t comfortable with coming into the trip. My, how I realized how spiritually immature I am. I needed to be slapped in the face. I was even fooling myself. So how did this change? 3. The Holy Spirit can lead in ways we can’t comprehend. I’ve never had a good understanding of the Spirit’s leading. I was raised to be very cautious of this, and with good reason; there are many people who believe they are in the Spirit but in reality are being led by their own whims with things their minds conjure up. My problem is that I let this caution turn to scrutiny. When I heard someone talk about the Spirit guiding them to some random place, I scoffed. Bring my softening attitude to Wednesday night of Beach Reach. I had struggled thus far and was praying for a team assignment that would show me the proper way to handle myself out there. God delivered me to an old friend. Matt Wallin had an incredible impact on my spiritual life during my first two years in college. My freshman year, I lived in the same residence hall as him and had many conversations and learned an incredible amount. I spent many Wednesday nights with him ministering to the homeless in Cincinnati. A few of us joke about how often he is mentioned around the BCM, to where I’ve almost forgotten how much he has helped shape my spiritual growth. 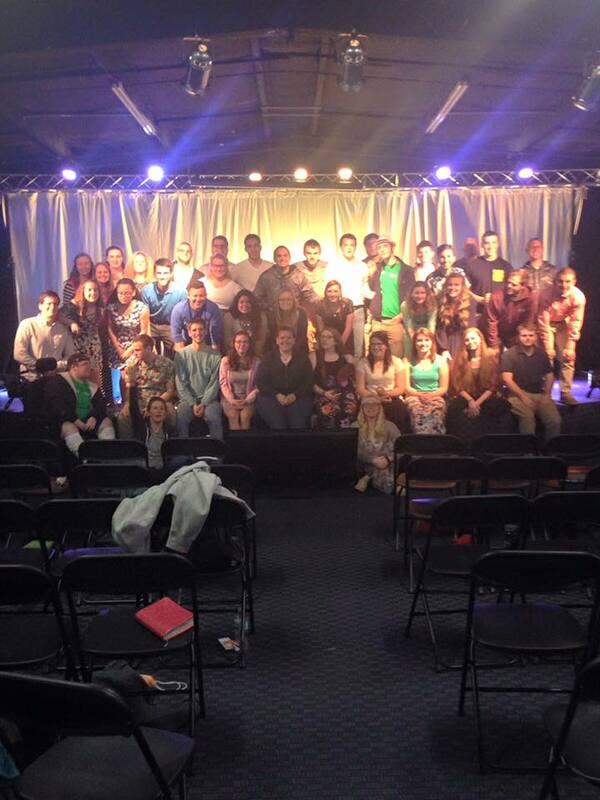 As God would have it, our campus minister invited the Virginia Tech BCM to stay with our group. Matt’s on staff there as an intern. This group was a great asset and I loved the opportunity to work and live with them for a week. That Wednesday, I was put with Matt on the streets. We went out of the drop-off spot and sat down by a retaining pond. There, Matt told us to pray and listen to God for His direction on where we should go or who we should talk to. After a while, one of the girls said she felt we should wait. So we did. She ended up answering a text from someone who needed a van ride. Our waiting caused her to take notice of that need. So we prayed and listened again. For some strange reason, I took notice of a concrete drain sticking up out of the pond that would drain water if it got too high. I was trying my best to make sure my thoughts were guided by God and not just allowed to run free, as they often do. So I began to think about floods. What do they do? What emotions do they provoke? I wasn’t sure what it meant, so I filed it away as we walked on. We literally prayed every time we came to a place with multiple directions to choose from. We soon came to one, and we began to pray again. I looked one direction. Then I looked the other direction. There, down the road, I saw the Ripley’s Believe it or Not building. It is built to look like a sinking ship. Floods! We went that way. We continued this for a while, as I listened to Matt’s past experiences in being Spirit-led. One year, a team member felt as they should talk to someone with Vans shoes on. After walking a while, they stopped again to pray for direction. 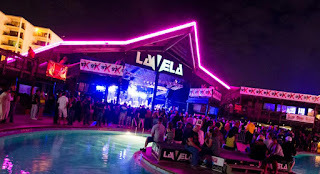 Another felt they should go somewhere with liquor, which isn’t a long walk in PCB. They came to a Kroger Liquor store and went in. There they found a man wearing Vans shoes. Another happened that week, when a team member felt they should go to a pizza place of which they knew. A different group member thought they should talk to someone who was alone. When they got there, there was no one alone. But as one of them ordered a slice of pizza, someone showed up. Alone. We were led to the same place because we were headed that direction and Matt had a desire for pizza. A different group was there already, and one of their members began talking to a man sitting alone. Matt joined her, and they talked for an hour or more. Towards the end of that conversation, a Virginia Tech girl and I walked to an ice cream place in the same building. When I came out, she had sat down at a table with two college-age guys. I initially thought, by their demeanor, that they were Beach Reachers. It turned out they weren’t, but were knowledgeable about the Bible. We were able to question them about biblical salvation and in time were able to confirm that they were Christians. Obviously, I did this with my group the next night. We were led a certain direction and came across a group of guys. I began talking to them and asked how their week had been (this was our last night on the street). We learned they were trying to get to a club. I called into the van hotline, which was extremely busy, thankfully. They eventually caught a party bus as I still was on hold. But one of the guys, a Canadian named Barrett, told a member that he had a Christian background but was questioning God’s existence, as is a healthy thing to question. One of our team members had been through the same thing and was able to give him Answers in Genesis as a resource. Oh, and I've seen many searching for answers far and wide. For answers only you provide. In reality, every person down at PCB to party has contemplated eternity. They’ve thought about God and religion. It’s impossible to not have some sort of contact with Christianity in America, even if someone doesn’t know the full gospel. They all contemplate at one point, and even while down there for a totally different reason, they too are searching for answers. They may be looking to the wrong things, but they are searching. We are placed down there to lead them to truth, and we are placed where we are now for the same purpose. Later that night, we headed another way and came across a Sonic. There sat three men who were coming back from a bluegrass gig. I talked to them for a while but never steered the conversation towards the gospel. While it wasn’t easy, I know I could have done more. I vowed not to let anyone else go that night without sharing the gospel with them. We sat there at Sonic and prayed for direction. For some reason, I was feeling led to head towards a Holiday Inn Resort down the road. On our way, we had our best and final conversation of the night. Josh was sitting alone by a building, trying to light a cigarette. We walked over to him and started a conversation. It didn’t take long to learn that he was down in Florida running from a lot of problems in Dallas. He had two warrants out for him, was being sued, had piling medical bills, suffered three mini heart attacks in his two weeks down there, attempted suicide, and had a lot to face should he go back. But in Panama City Beach, he was alone, away from everyone he knew. As he continued to open up, we were able to open up to him. I was able to relate through my family’s struggle with medical bills and my close friend who almost committed suicide. I was able to tell him that he has worth in God’s eyes and that God is pursuing him and wants to know him. This was evident to him, as earlier in the week he’d already talked to several other teams both on the street and at our pancake breakfasts in the mornings. He said the only people who cared to approach him were Christians. Amazingly, Sarah in my group had seen Josh’s name come up before on the prayer board and was able to tell him that he had been prayed for all week. Josh has a church background but is not a believer. He’s working through a lot in his mind currently. We prayed for him and I got his phone number to keep in touch. Pray that he makes the right decisions, is kept safe, and is brought to a point that he repents and puts faith in Christ. All of this, make note, because we allowed the Holy Spirit to lead us where He’d have us to go. ‘Cause you are perfect in all of your ways. You are perfect in all of your ways. On the last night, Austin spoke about the Holy Spirit. He brought out the different translations of the Greek word in the Bible. Besides “Spirit”, “breath” and “wind” are also used. Through the illustration of breath, Austin questioned if we did indeed have the Holy Spirit in us. Throughout the week he continually pressed that our being on a mission trip did not automatically qualify us as Christians. This was important because there was a girl in our NKU group that realized this and was saved there along with the 33 others our teams were able to bring to Christ. 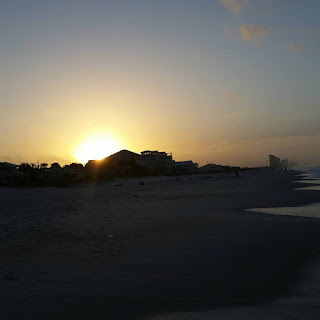 While the strict alcohol laws drastically decreased the number of spring breakers in the city, it did not hinder God’s work both in the lives of those down to party and those down to minister. Austin used a boat metaphor to describe why we might not be being led by the “wind”. First, our sails might not be up – we might not be praying. Second, we might be docked – we might not be allowing ourselves to be led. Third, we might be hung up on rocks – there might be something such as selfish motivations or secret sin that is keeping us from moving. As I mulled this over, I knew I’d sound cliché, but every one of these points described me to some extent. It was again a reality check into how little I utilized the Holy Spirit God has given me. In fact, the Spirit led me to even get to this point. Spring break of my freshman and sophomore years was spent on Created Equal’s Justice Ride, taking the truth about abortion to campuses in Florida. This is very important work I’ve devoted a lot of time to during college. But I gave Beach Reach fair consideration, and after talking with a few trusted people, opted to change things up this year. I missed the Justice Ride, but I made the right decision. Beach Reach has definitely stretched me. The way we did prayer involved praying aloud with everyone else praying simultaneously. I had to focus to keep my conversation with God alone, as so often I think about what I can say for others. Same with worship. Our worship is to glorify God alone, yet it’s so easy to be concerned with the perceptions of others around me. I’ve been pushed to be forward with the gospel not just there, but here. Too often, we come back from a trip and never continue the change that happened there. Already I’ve been tempted, which is to be expected. I don’t want us as a ministry to stop that progress. We have a huge opportunity to make an impact where we are, and I don’t want to waste that time living in fear and sin. There is too much at stake. It’s been awesome seeing the growth in my life and so many lives around me. Listening to some of the others in the BCM speak on their plans coming back is incredible. The fire isn’t going to feed itself; this we must realize. But if we’re really in tune to God’s heart, there is no limit to the potential because there is no limit to how God can work. Oh, I've heard a thousand stories of what they think You're like. But I've heard the tender whisper of love in the dead of night. And that I'm never alone. It's who You are. It's who You are. It's who You are. It's who I am. It's who I am. It's who I am. I, I can hardly speak. I, I can hardly think.